Hi I’m Christine. 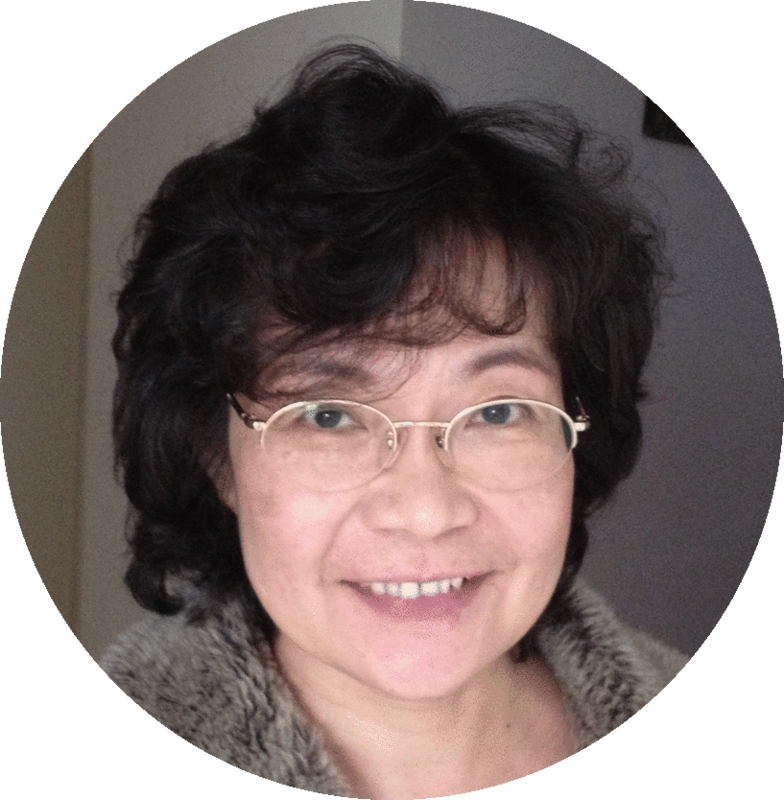 Welcome you to visit my blog, Christine's Recipes. I’m living in Australia with my husband and a lovely daughter. She likes eating and I like cooking. We are perfect partners. This blog is also dedicated to her as she enjoys and loves my cooking everyday. Here I’d like to record all my culinary experiments and share my love of cooking. I hope you’ll find what you are looking for on this blog. 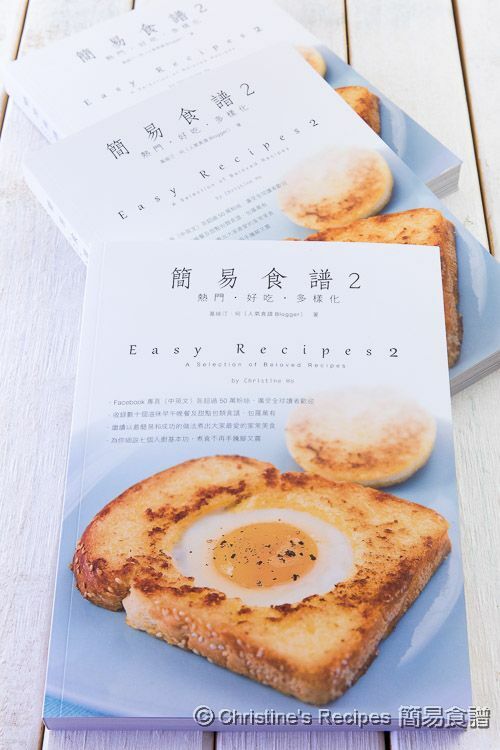 In June 2012, I officially released my first cookbook, written in both Chinese and English, called Easy Recipes - A Selection of Simple Classics. It quickly climbed the bestseller lists of large bookstores in Hong Kong. 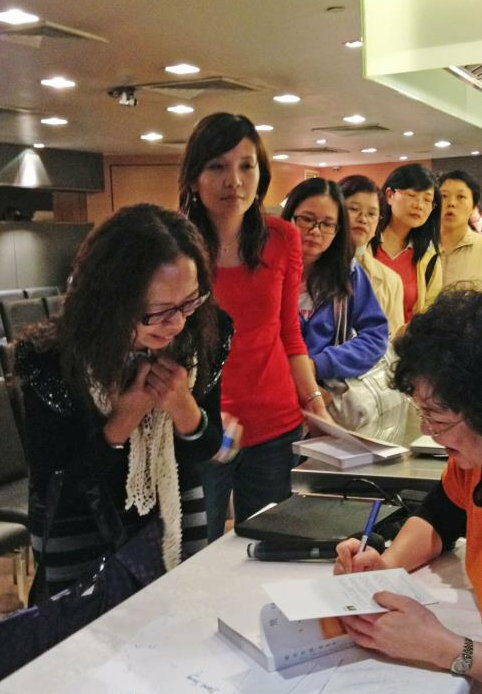 If interested, take a look at the post about my cooking demo and cookbook signing session in Hong Kong (18 Nov. 2012). Again, thanks for all of my readers' support. My 2nd cookbook, Easy Recipes 2 - A Selection of Beloved Recipes, was published in Dec. 2015. Loved your book, we just found it on the shelves of a Page One before they closed down, such a pity. It's a great recipe book, beautiful pictures and lovely descriptions. When are you back in Hong Kong? Which state are you staying in Australia, I stay in Brisbane, do you organise class at aAustralia? I also stay in Brisbane. Unfortunately, I don't run any cooking classes at the moment. If I do, I'll announce on this blog and my fan page. Thanks for dropping by and your interest in cooking with me. i have printed a lot of your recipe but i want your recipe book. Can i order online? Sure, you can order online directly from the publisher here. Your delicious tangzhong recipes brought back so many wonderful memories from my trips to China. Your blog is awesome! I probably won't be able to visit China anytime soon, so I guess those impossibly fluffy buns will have to do for now. Thank you so much! Thanks for dropping by. The tangzhong breads are our most favourite. Go for it. You'll love them if you like soft and fluffy breads. Are all your tangzhong bread recipes in your book and chiffon cake as well? I've done some of your cakes they're perfect everyone. Can I get the book on all bookstore in Aussie? Thanks . There are some tangzhong bread and cake recipes including chiffon cake in my Easy Recipes2. As my publisher is in Hong Kong, so it's easier to get it there. Hi Christine, I am desperately craving Chinese seafood soups and stumbled across your page. I'm hoping to try out some of your dishes as they look great and not too complicated. We have a local Chinese store here so will pop by and hopefully they have all the ingredients! Thank you for sharing!